A 30-minute (free) boat ride with views of the Statue of Liberty and downtown Manhattan—how's that for a ballpark commute? 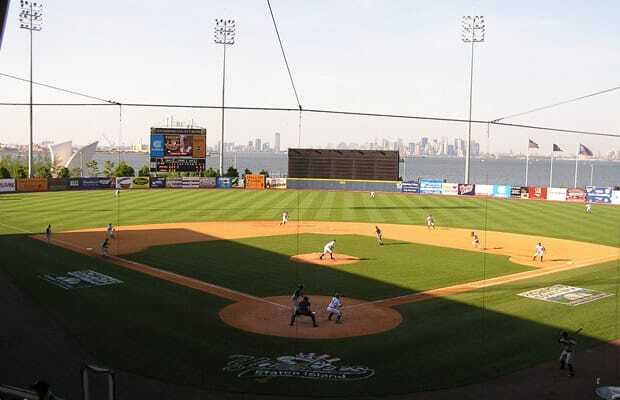 Sure, if you're a Staten Island resident you should probably drive, but if you live in or are visiting any of the other four boroughs of New York City, there is no better way to take in a baseball game, on any level. It's Low A ball, so if you get a good seat look out for errant throws as much as foul balls, but with the harbor and Manhattan skyline in the distance, it'll be a game to remember, with or without the souvenir.